Three tree forest group. 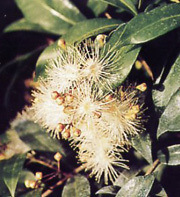 Also called Austrailan Brush Cherry. 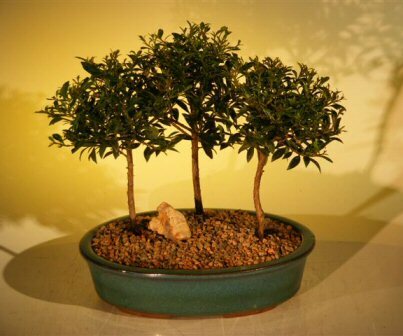 Has small handsome evergreen leaves which is ideal for bonsai. Flowers with pink and white puffy blooms during spring/summer. New leaves appear reddish in color, turning green as they mature. Great for indoors. Three (3) tree group, each 5 years old, 6" - 7" tall.